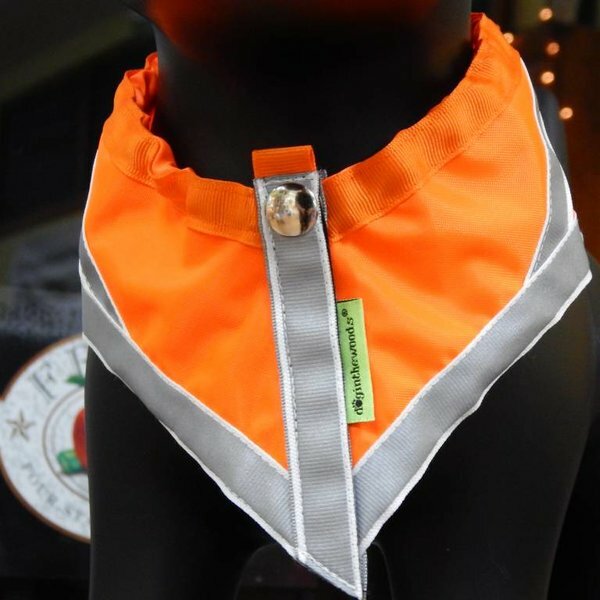 Bright colored for high visibility in any situation and lined with reflective strips for night time excursions to keep your pet safe! 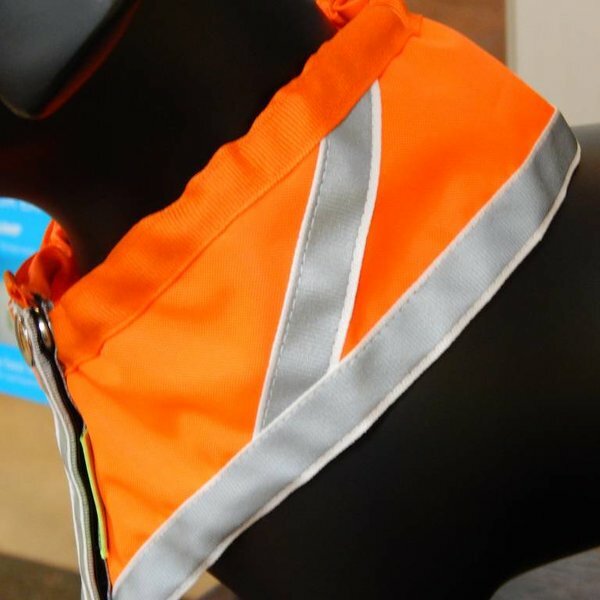 These reflective safety vest has won a design patent from the US government. It is constructed of USA-made ANSI-rated 250-denier coated nylon. The 5/8" wide reflective strip is heat-sealed to grossgrain ribbon and is made here in the USA just for Dog in the Woods. 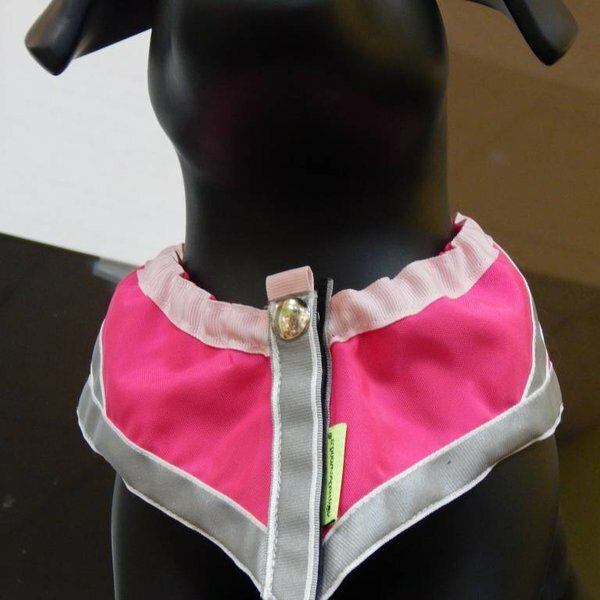 It has a single-cord stop adjustment and may be worn with the chevron point either down the back of your dog or over its chest. The heavy duty nickel-plated snap and hook and loop closure provide a secure fit, but are designed to pull off, freeing the animal from being caught in a barbed wire fence or by another animal. 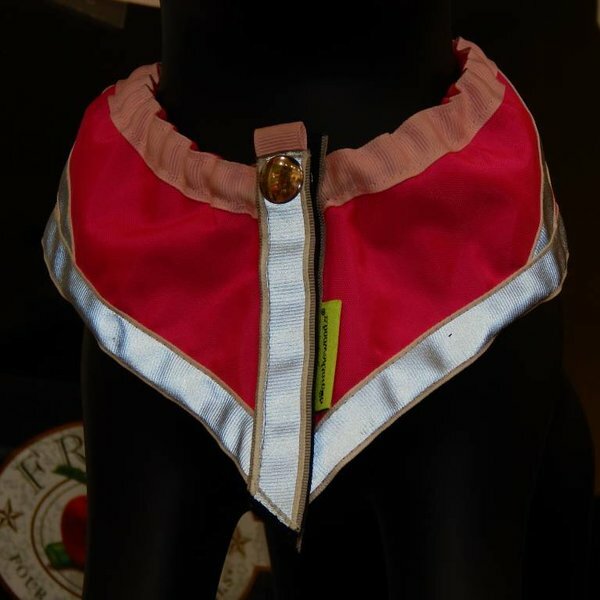 Once adjusted, the Dog in the Woods vest can be simply pulled on or off over the dog's head. Simple: no straps to attach or adjust. 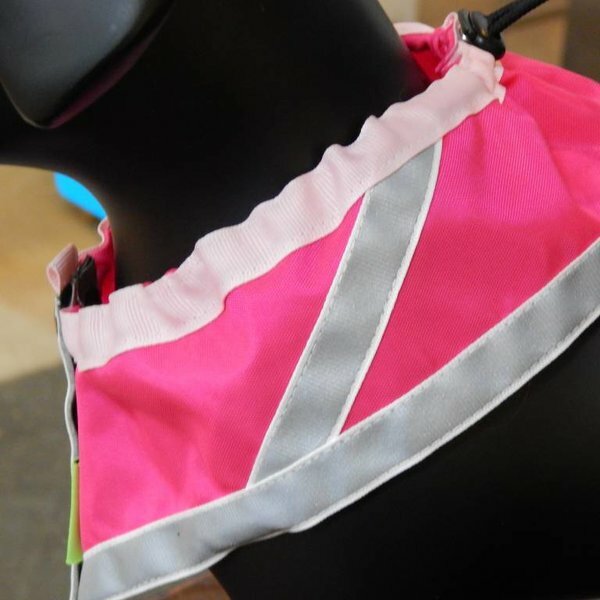 Each vest is hand sewn and our sizing chart provides a fit for every size dog. 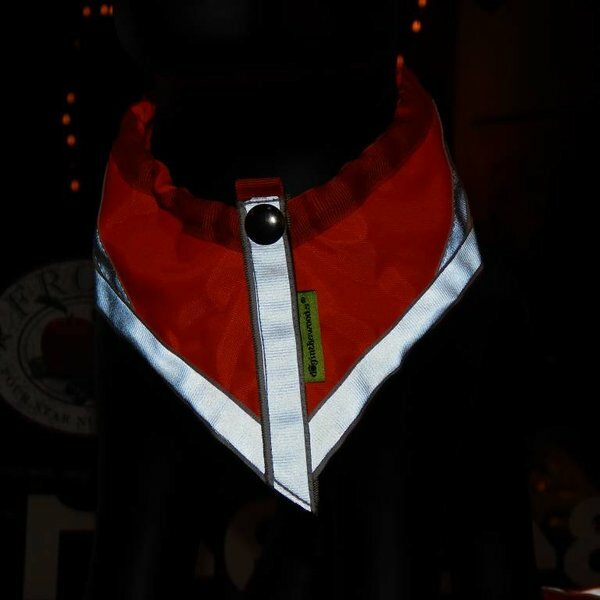 Originally, Dog in the Woods made these reflective vests only in blaze orange. However, now that Virginia has joined 4 other states (Wisconsin, New York, Colorado and Louisiana) in accepting blaze pink as a substitute for blaze orange, you can choose either color, as well as the size.